Ketamine Assisted Psychotherapy (KAP) is a safe and highly-effective modality for the resolution of treatment resistant depression (TRD), post-traumatic stress disorder (PTSD), chronic pain, anxiety disorders, and a variety of other mental and physical disorders. KAP also offers a unique opportunity for healthy individuals to create psycho-spiritual breakthroughs, discover creative solutions, and resolve unconscious patterns and self-limiting behaviors. 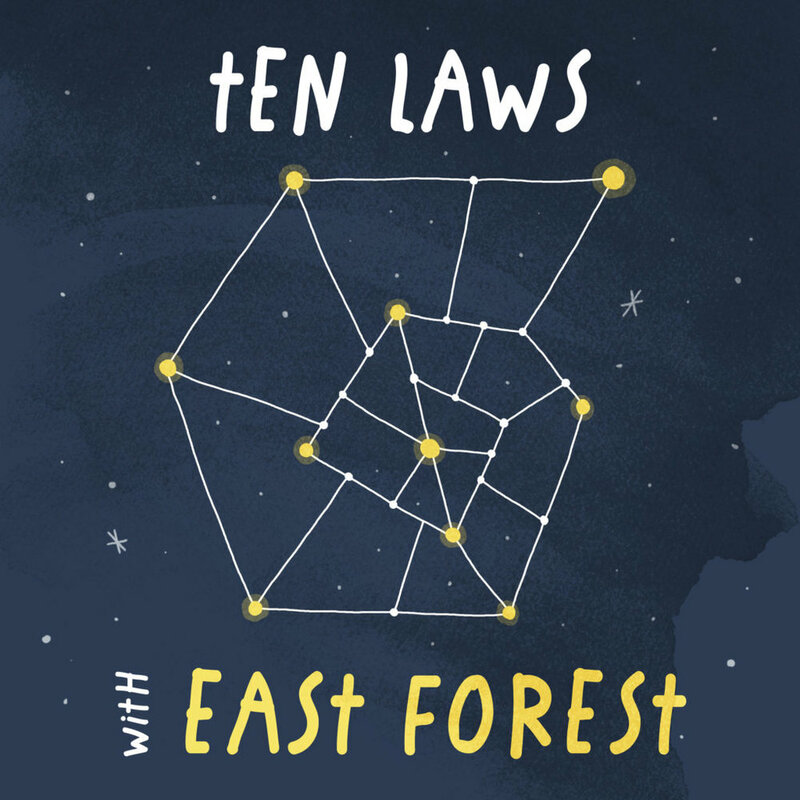 Listen to my interview on the Ten Laws Podcast by East Forest for an in-depth conversation on my approach to ketamine assisted therapy. KAP works simultaneously on emotional, physical, mental, and spiritual levels to create deep and profound transformation. While the physiological action of ketamine creates rapid changes in brain structure and increases in neuroplasticity, the non-ordinary state of consciousness (NOSC) induced by ketamine allows a working window for psychological reorganization that is usually not seen without years of therapy. Cody is pioneering an entirely unique approach to KAP that blends modern therapeutic practices, mindfulness practices, and ancient ceremony and ritual to create deep shifts in conscious experience. Together we will go on a metaphorical and somatic journey from birth to death - and back again. We will incorporate elements of mindful awareness, mythology, the medicine wheel, transformational breathwork, somatic psychotherapy, poetry, and more on this journey. The literature indicates a 70% response rate after one session, and a remission rate for TRD of 40-50% with multiple sessions. These numbers are simply unheard of in traditional psychotherapy and classical anti-depressant medications. While ketamine alone can produce positive shifts in mood and experience, these results are usually temporary without intentional preparation, facilitation, and integration of the ketamine experience. The likelihood of symptom remission is greatly increased when client and therapist work together to create a safe and intentional therapeutic experience. Ketamine is a dissociative anesthetic that is commonly used in surgeries and hospitals worldwide. At a sub-anesthetic dose, however, ketamine produces a non-ordinary state of consciousness (NOSC) that produces psychedelic, euphoric, and dissociative effects. Ketamine targets NMDA receptors in the brain, resulting in increases in the neurotransmitter glutamate. This mechanism of action is entirely novel in comparison to traditional SSRI’s, MAOI’s and SNRI’s typically prescribed as anti-depressants. “Ketamine has a proven safety record as a dissociative anesthetic, and there are now thousands of patients and many thousands of experiences demonstrating that is is a safe and effective treatment for depression and other psychiatric problems. The assertion that ketamine treatment needs to remain a medical procedure is highly questionable.” (Wolfson et al, 2016). Ketamine is well known for its safety profile and has been used as a battlefield anesthetic and pediatric anesthetic due to its lack of effect on respiratory drive and heart rate. In cases of chronic, high-dose use characteristic of dependency and abuse, there have been some concerns about toxicity to the urinary system (Selby et al, 2008; Wood, 2013). In many cases, ketamine has even been shown to have neuroprotective properties (Hoffman et al, 1992). + How will the ketamine be administered? You will be referred to a psychiatric nurse practitioner to evaluate your suitably for ketamine-assisted treatment. Should it be deemed appropriate, your nurse practitioner will prescribe you a set number of lozenges known as "troches" that dissolve in your mouth. You will personally bring these lozenges to our therapy sessions and be responsible for administering them. At no point will your therapist handle the medication. + How long does a ketamine-assisted therapy session last? Typical duration is 2-3 hours. While some people feel complete after 2 hours, I typically reserve a 3 hour block to allow for depth of experience and quality integration. + What can I expect during a ketamine-assisted session? The best approach is to release all expectations. Every ketamine session will be different and will be a function of your mindset, the therapeutic relationship, and your psychological needs. That said, there are common elements and structure to most sessions. We typically begin with a brief check-in, guided meditation, and intention setting. You will take the medication laying down on a couch, most-often with eyeshades and music to facilitate inward reflection. The first 45 minutes to 1.5 hours are the “peak” experience and can frequently transcend words. The last hour is a useful window for integrating your experience with your therapist. Your therapist will be present during the entire session to facilitate the experience and ensure physical and psychological safety. Ketamine can be described as an "empathogenic" at low doses and a psychedelic at slightly higher doses. Thus, while everyone's experience will vary, common effects reported include: feelings of empathy and compassion; well-being, joy and relaxation; euphoria; 'out-of-body' experiences; a new sense of perspective, forgiveness, and personal responsibility; lowering of ego defenses or complete ego-dissolution; mystical experiences and encounters with archetypal visions and symbols; psychological death and rebirth; feelings of interconnectedness, unity, timelessness and ineffability. None of these experiences are guaranteed, nor are they comprehensive. Every session will be different. + How does your approach differ from other ketamine treatment centers? Many ketamine treatment facilities rely solely on the pharmacological effect of ketamine to produce symptom relief and seek to minimize or eliminate the psychedelic effects. Most treatments are not facilitated, meaning you are given a dose of ketamine without any guidance or therapy. My approach seeks to maximize the psychedelic, transpersonal, and mystical effects of ketamine and provide facilitation, guidance, and support through the entire process. While ketamine alone will provide symptom relief for a short window of time, symptoms usually recur without additional treatment. The literature demonstrates, however, that people who carefully prepare for their treatment and have an intentional set and setting: 1)Are almost universally more likely to have a transpersonal experience 2) Experience a greater duration of symptom remission. Prior to your treatment, we will work together to establish a sense of safety and trust. We will collaboratively identify clear intentions for your treatment. We will utilize mindfulness practices and lifestyle changes prior to your session to create the greatest opportunity for transformation, and will work closely together after your session to integrate your experiences and insights into your daily life. I employ a wide range of facilitation strategies that include mindfulness-based techniques, somatic psychotherapy, and draw from traditional cultural and ceremonial practices to create a truly unique experience. + How many sessions will I need? There is a demonstrated ‘cumulative effect’ of ketamine sessions, meaning that most people benefit more from a series of multiple sessions than one single session. While some people experience dramatic symptom reduction after one session, most will require 4-6 sessions in a short period of time to create long-term change. I typically ask patients to commit to an initial series of 4 sessions and offer continued sessions based on your personal needs. Ultimately, this will be a personal decision made between you, your therapist, and your perscriber. There are a wide range of hypotheses on how and why KAP is so effective. There are many studies demonstrating clearly beneficial biological effects like increased neurogenesis (new neurons), neuroplasticity (formation of new neural pathways), and de-activation of the ‘default mode network’ (a brain network associated with self-reference and ego functioning). However, it is clear that the patients who benefit most from KAP do not view ketamine as a ‘magic pill’ that will suddenly cure them. Rather, the patients who receive the most benefit from KAP understand that ketamine simply facilitates an enhanced window for learning and therapy. Long-term change will be dependent on the actual changes you implement into your life; though ketamine can often jumpstart this process. Many of the therapeutic breakthroughs encountered in just a few treatments of KAP are typically seen only after years of traditional therapy. My standard hourly rate is $150/hr. For 3-hour sessions I offer a flat fee discounted rate of $400. Clients who are committed to multiple-sessions may discuss package rates.